This is how the top of Dale Street looked in 1904. The view is roughly where the Somerfield supermarket stands now and the old houses shown have long been demolished. 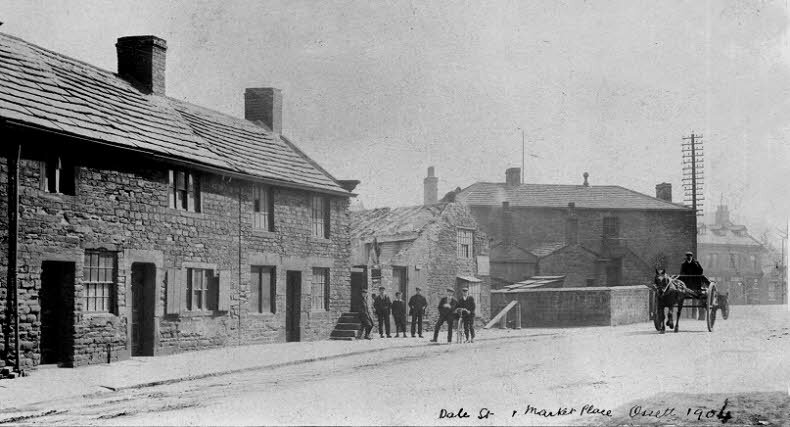 The large building in the top centre of the photograph just to the left of the horse and cart is the old Ossett Grammar School in the Market Place. This building was demolished to make way for the new Ossett Town Hall in 1906.